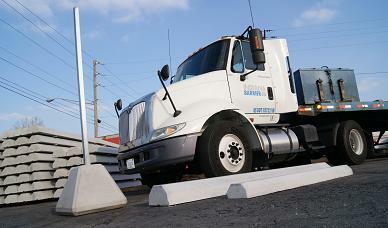 A trucking terminal and storage facility in contacted us as they prepared to add more than 50 truck stalls for parking. This growing trucking business knew they needed a physical way to mark their truck storage lot. At Indiana Barrier Company, we’re experts in outfitting spaces often used by trucks or used for large vehicle fleet storage. 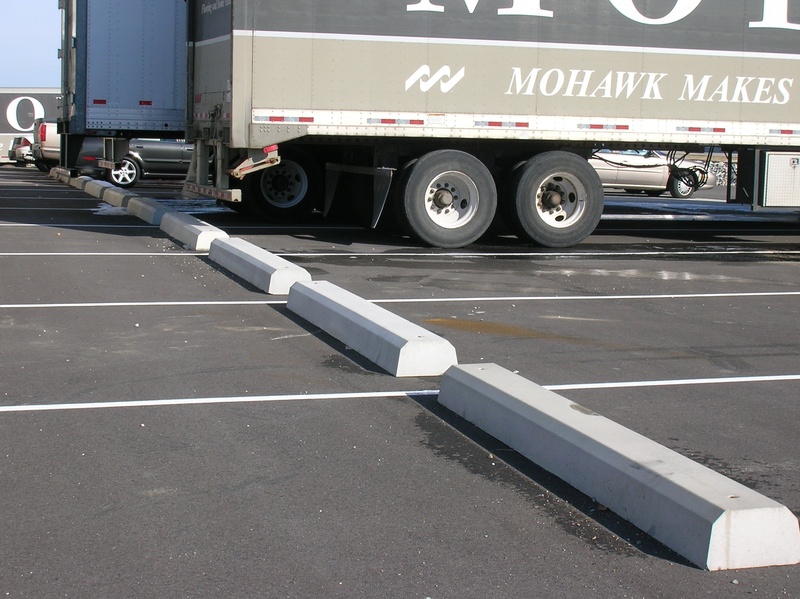 To provide a long-lasting solution for the freight company, we recommended larger concrete truck bumpers instead of traditional bumpers designed for commercial cars. We then manufactured, delivered, and installed the truck bumpers, quickly and professionally, mixing and pouring all of our own concrete. In every installation project, we aim to position our concrete barriers to be unobtrusive, taking up as little space as possible while still providing security and structure. To do this our installation team took careful measurements so our bumpers didn’t eat up valuable space which ensured the freight company could fit the maximum number of trucks in the new facility. As we work with trucking companies, we often get requests to use car bumpers to save space and allow them to park more trucks. Unfortunately these smaller car bumpers are easily missed as truckers back into spots. They can also be driven over with relative ease resulting in damage to truck bodies over time. To protect their assets, reduce unnecessary repairs and keep more trucks on the road we installed the larger truck bumpers.